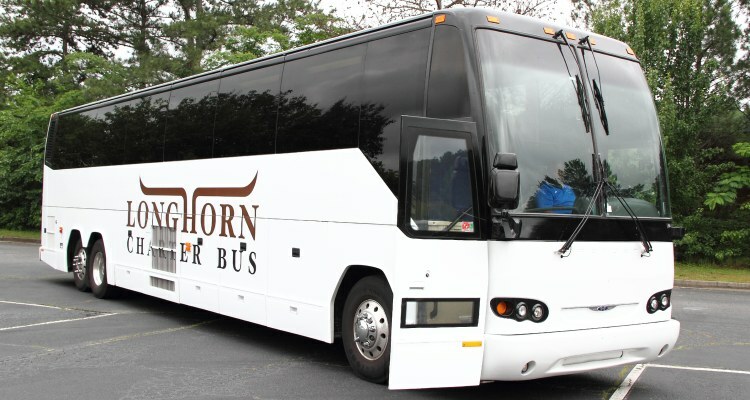 Longhorn Charter Bus is your go-to resource for straightforward bus reservations for trips of all kinds. Travel through Austin and experience the best of the city without all the hassles of organizing group transportation on your own. Our 24/7 team is ready to help you plan your trip when you call us at 1-844-447-2779. 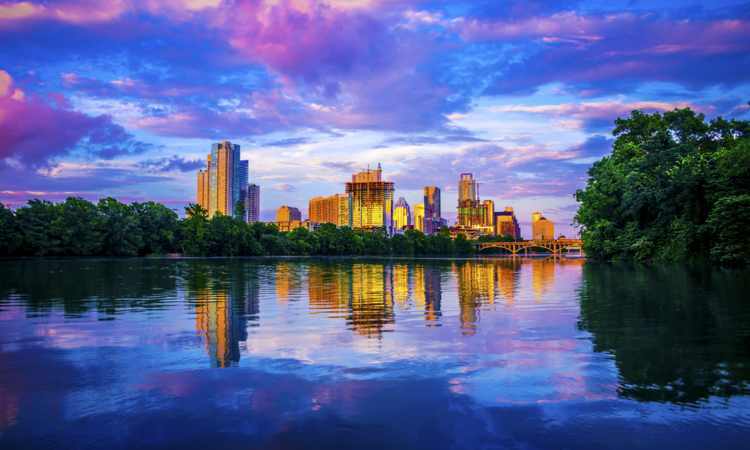 There’s a reason why Austin’s slogan is “Keep Austin Weird.” The Texas capital is a melting pot of culture and, well, all things weird that will make any person fall in love. If you’re planning a trip to Austin, don’t miss out on all the different of things to do, from outdoor activities to exploring weird oddities. In fact, there’s so much to see and do, you’ll most likely have trouble choosing. If you’re visiting Bat City with only a 3 days to spare, planning an itinerary that combines the perfect combination of the best attractions can be overwhelming, especially with a group. That’s where Longhorn Charter Bus comes in. As the leading Austin charter bus rental company, we help groups travel with ease anywhere they want to go in the city with a modern, up-to-date, and comfortable bus rental. Because we work with groups all across the state of Texas, we created the ultimate guide to visiting the best spots that make Austin what it truly is: weird, unique, and unforgettable. Looking for the ultimate weekend trip instead? Let us help you plan a trip hitting all of Austin’s highlights. Did you know that Austin is the fastest-growing large city in the U.S.? As a large city that only continues to grow, you can only imagine how tricky travel can be, especially with a group. Groups may find it difficult to stay together and organized when they rely on public transportation, like CapMetro, rideshare apps, cabs, and carpooling. Plus, the bigger the group, the more the travel fees accumulate. A personal charter bus or minibus rental is the best and most cost-effective way for groups to travel around Austin safely and efficiently. Longhorn Charter Bus works with groups of every kind to find the most reliable transportation for their specific trip. Whether you’re on a private trip, planning a wedding, attending a corporate event, or anything else, transportation for your group is completely stress-free when you work with us. From minibuses to full-sized motorcoaches, we’ve got the right transportation for your trip. Start day at the Bullock Texas State History Museum. Start your first day in Austin learning the complete story of Texas. 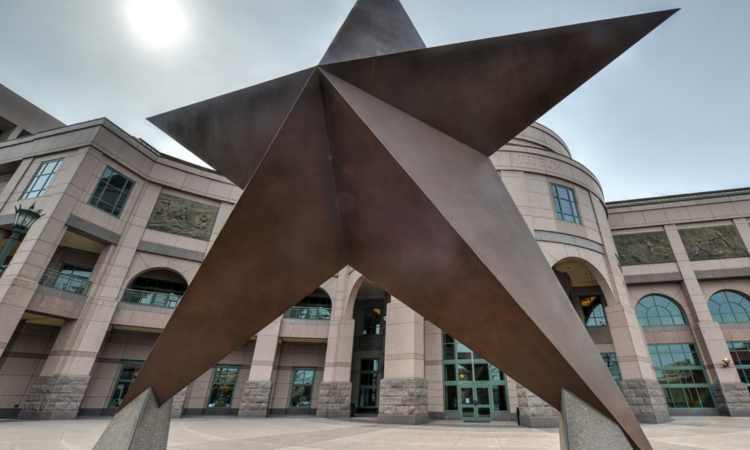 The Bullock Texas State History Museum features interactive exhibits, films, and events that take you through the history of Texas in an iconic building just a short walk from the Texas State Capitol. If you’re visiting with a group of 20 people or more, be sure to let them know for a personal, guided group tour and discounts. Plan to spend lunch at their Story of Texas Cafe, located right in the building, for favorite Texas comfort food with locally-sourced ingredients. If you’re opting out of lunch at the museum and would rather try Austin’s local cuisine, give Olamaie a try. Just a few blocks away, this elegant restaurant is situated in a refurbished home and features classic Texan comfort food with farm-fresh ingredients. Favorite dishes include the biscuits, the pork chop, the red snapper, and their cocktails. Next stop, see a collection of rare books, manuscripts, photos, and art with your own eyes at the Harry Ransom Center. Your bus will drop you off directly in front of the building, leaving you to skip finding parking. Located in The University of Texas at Austin, this library’s mission is to preserve authentic works of some of our finest writers and artists, from Hemingway to Kahlo. Watch a classic film, attend an event, or enjoy a comedy special in Austin’s original performing arts venue. Standing at over 100 years old, the Paramount Theater is a timeless attraction that signifies what makes Austin unique, featuring performances by prominent artists, including Houdini, Katharine Hepburn, and so many more. Spend the rest of your evening in a historic bar sipping away on strong drinks after your show. This classy bar sits inside one of Austin’s most historic hotels and features live music to top of your first day in the city. End day going back to your hotel. Start day at the Museum of the Weird. Start your day off in downtown Austin admiring weird oddities, including shrunken heads, bigfoot, and anything else out of the ordinary. As one of the last true dime museums in the U.S., the Museum of the Weird is the perfectly strange way start to your 2nd day in Austin--and is just the beginning! You can’t visit Austin without enjoying barbecue. As a popular lunch-only spot, Franklin Barbecue is an Austin classic, offering a casual environment with some of the best brisket you’ll ever taste. But get there early! The restaurant is only open until 3 p.m., and the line is usually out the door as soon as it opens. It’s time to hop on your bus and explore outside of downtown Austin. 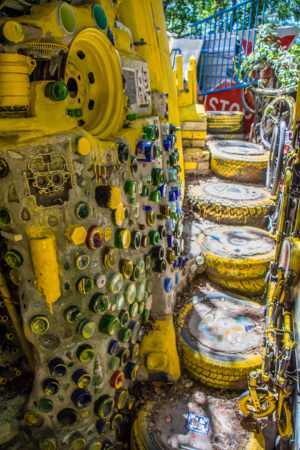 The Cathedral of Junk is an unusual piece of artwork made entirely out of random junk handcrafted by a local--in fact, the sculpture is located directly on his property. Just make sure to call ahead to let him know you’re stopping by. All he asks for is a $5 donation! Even if antique shopping isn’t your thing, you’ll want to have your bus take you a few more miles outside downtown to explore Uncommon Objects. This store features an eccentric collection of uncommon antique items, from costume jewelry and old furniture to pinball machines and other vintage items-- all for sale! This eye-catching curiosities store resembles what makes Austin so worth visiting, even if you don’t end up purchasing anything. Head back towards the downtown area to finish off your evening at another strange establishment. Toy Joy is one of Austin’s many unique stores that focuses entirely on, you guessed it, toys. But this isn’t any normal toy store. Toy Joy only sells unique toys, novelty items, and collectibles you can’t find anywhere else. Afterwards, there are plenty of local restaurants within walking distance for you to enjoy dinner. End day heading back to hotel after dinner. Start day at Longhorn Cavern State Park. 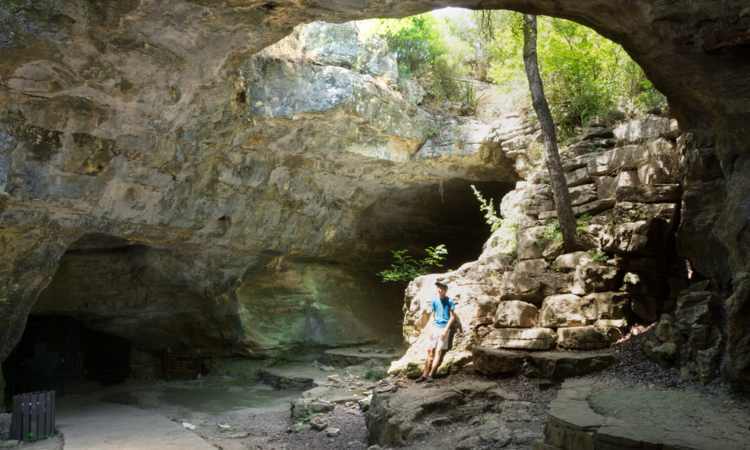 About an hour outside Austin, explore the magic of Mother Nature at Longhorn Caverns. Learn all about the history and geology on a guided walking tour that takes you down 1.1 miles of passageways, featuring beautiful indoor rooms and unique formations. If you have a group of over 20, make sure to call ahead and reserve to be a part of the experience! There’s a snack bar on property for when you get hungry, but we suggest getting lunch at a nearby restaurant when you’re all done. Head back to Austin to explore the native Texas plants, including the beloved wildflower. With a cafe and hundreds of plants to explore, you’ll find yourself in complete paradise. Register for a guided tour to get the ultimate Wildflower Center experience! Settle down and take in the fresh air at Mayfield Park and Nature Reserve, overlooking Austin Lake. 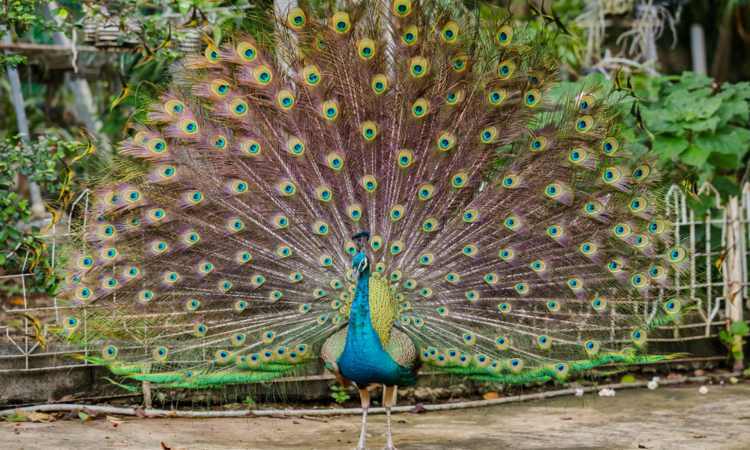 This park features hiking trails at all levels and free-roaming peacocks, making it the perfect setting for an evening picnic or grilling season with your group. With almost non-existent parking, you’ll be glad to have your bus drop you off for a nice, quiet evening. 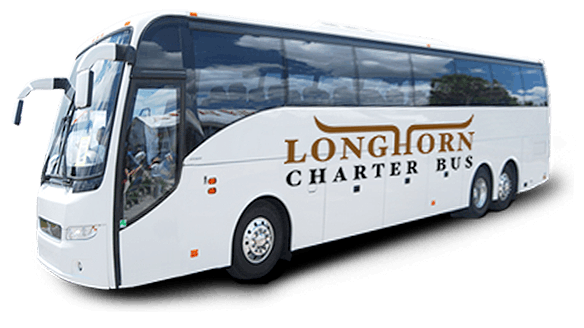 Longhorn Charter Bus is the most-trusted bus rental company in the state of Texas, serving not only Austin, but other major cities like Houston, Dallas, Fort Worth, San Antonio, Waco, and more. Because of our expertise and our large network of bus rentals, we make bus rentals easy and fast, no matter what your trip entails. Get started by calling our 24/7 team at 1-844-447-2779.